Many of us have grown up hearing the command, "Children, obey your parents in the Lord, for this is right." As we get older, we desire (and earn) more independence and responsibility, but with the way our culture has worked, we often end up living at home longer that people have in the past. This isn't necessarily a bad thing, but it brings with it some serious challenges. 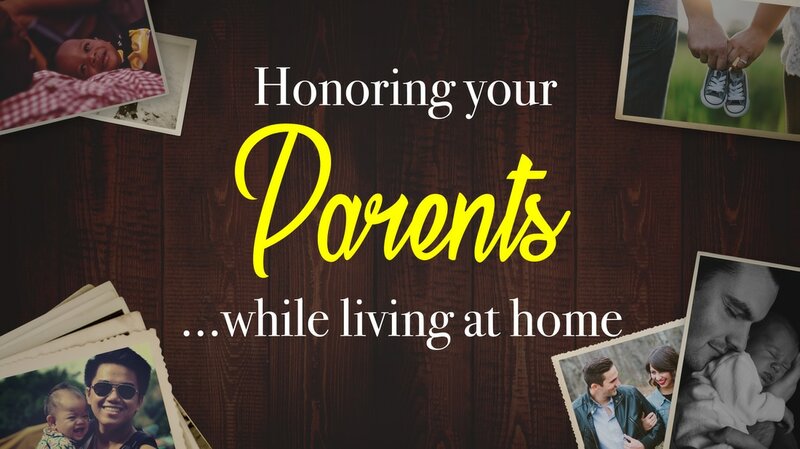 Am I still supposed to honor...and even obey, our parents while we're still living in the home? What about when we're outside the home? This lesson by Pastor Andy studies out Ephesians 6 and applies it to these challenges. Audio file will be included after this session is shared again on February 8, 2017.